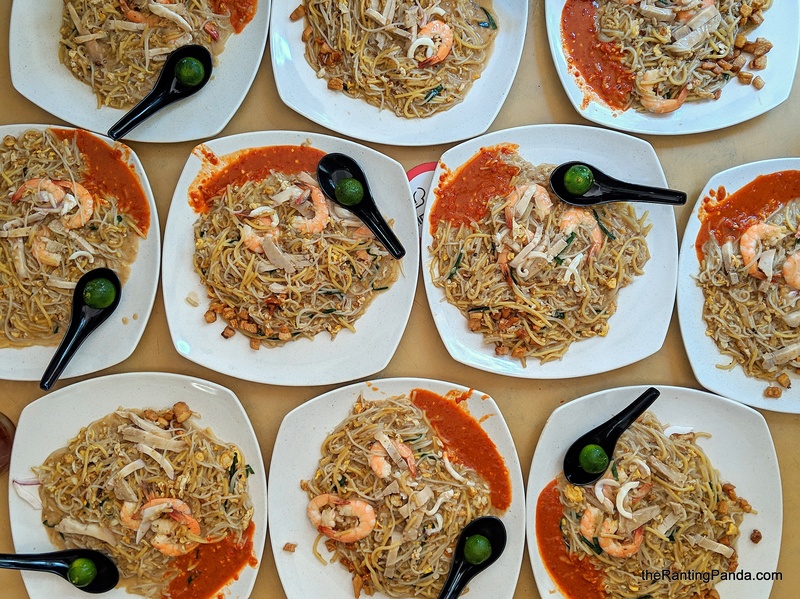 The Place You need some luck to land your hands on a plate of Hokkien Mee from Xiao Di Fried Prawn Noodle at Serangoon North. Located in a coffeeshop, the stall only operates a few hours on days (closed on Monday and Friday), and you run the risk that it might be sold out before its official closing time. Managed by a young team, the stall has been around for a few years and it is very popular even for non-residents of the estate. Many travel far from around Singapore, to give Xiao Di’s Fried Hokkien Mee a try. There were previous occasions where we made our way here only to be greeted by a closed stall, and had to divert to Serangoon Gardens for Seng Kee Mushroom Minced Meat Noodle instead. The Food Portions are available at S$4 or S$5, where I will recommend going for the S$5 option. Fried by batches, the Hokkien Mee here has a very moist texture, served with generous chilli sauce and pork lard. The noodles is aromatic and delicious along with the mildly spicy chilli sauce, which has a nice sourness taste. As for the golden fried pork lard, it is crispy and sinfully good. The portion looks huge, but I wish it is bigger as I managed to finish it within five minutes. For us, the winning formula here is the moist noodles, and the strong garlicky taste. Both making this bowl of goodness to-doe for. Rants We waited about 60 minutes for our orders on a Saturday. This is not the place to drop by if you are rushing for time. Will I Return Again? Good Hokkien Mee is hard to come by and suffice to say, Xiao Di Fried Prawn Noodle lives up to my expectations. It leans towards the wetter texture as compared to other drier version, which suit my liking. Waiting one hour for shrimps and noodles is to much for me. It’s definitely a long waiting time, so it’s only suitable if you are feeling very relaxed that day.